The news comes just days after the Mongolian metal outfit released their sixth studio album Cian Bi via Napalm Records. In a message to fans, the band say: “Within all these eight years, I have nothing but gratefulness to all your support. However, after consideration, I have decide that Tengger Cavalry is officially dismissed. The statement goes on to make allegations citing mismanagement in the band’s past, and continues: “I wanted to share my musical and nomadic culture experience with the world, yet the outcome somehow only comes back in a darker form. 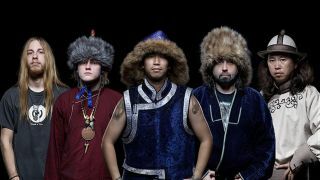 Tengger Cavalry were due to play at the Czech Republic’s Master Of Rock festival in July and Spain’s Legends del Rock the following month.